Home › Home and Kitchen › Mygift Red Owl Design Ceramic Cooking Utensil Holder / Multipurpose Kitchen S..
Mygift Red Owl Design Ceramic Cooking Utensil Holder / Multipurpose Kitchen S.. 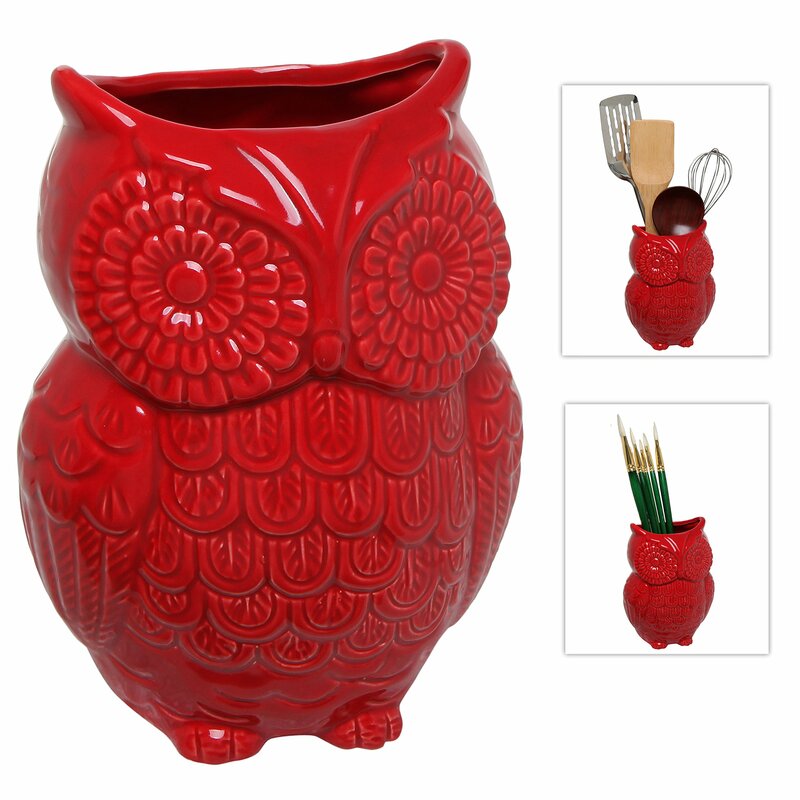 Ceramic utensil storage crock with a beautiful glossy finish and a charming owl design. Hollow interior allows you to fill this owl with whisks, wooden spoons, spatulas, and other cooking utensils. Versatile enough to store anything from paint brushes to flowers and plants. Approximate Dimensions: Exterior - 5" W X 7" H X 4" D; Interior - 5" W X 6.5" H X 4" D.
Color:Red Sweet style and sensible storage in one adorable package! Thisceramic utensil crock helps brighten up your kitchen with an eye-catchingfinish and a whimsical owl design that comes complete with embossed details.Meanwhile, this utensil holders hollow interior makes it easy for you to keepyour must-have utensils like wooden spoons, whisks, spatulas, and more within easy reach. This ceramic holder is even versatile enough for anythingfrom paint brushes to flowers and plants. Make this bright, charming, anduseful jar a part of your homes dcor today to bring both style and function.Official MyGift product, includes multipurpose towel. ApproximateDimensions: Exterior - 5" W X 7" H X 4" D; Interior - 5" W X 6.5" H X 4" D.